The biggest news of the week is undoubtedly the NSA’s PRISM program. The shocking news basically allows the US government access to data on mass from all the biggest Silicon Valley firms, including Microsoft, Yahoo, Google, Facebook, Paltalk, AOL, Skype, YouTube, Apple, though many deny any knowledge of the program. I’m not normally a big believer in Big Brother paranoia, but the evidence is pretty damning, especially since Verizon were forced to hand over their caller records this week. Similar revelations in the UK have already appeared, and whether more will surface in other countries is yet to be seen. But since these companies touch the vast majority of global internet users, we’ve all got reason to be worried. It’s been a busy week in political tech worldwide. Estonia’s president called social networks worse than Big Brother, obviously referring to his own government, and before the NSA news broke. A net neutrality bill in Brazil has gained strong support from Yahoo!, and could be the first of its kind globally to be passed. The Tiananmen anniversary sees China’s Great Firewall go into overdrive; for a while “May 35″ was used instead of “June 4”, but this year things have escalated. Censors have been blocking every clever attempt to reference the event, including photoshopped versions featuring giant yellow ducks in lieu of tanks. The imagination of dissident Netizens is a beautiful thing to watch sometimes. There have been rumours of a budget iPhone for years, but nothing has ever materialised. And the strongest case for making one, gaining a bigger share in emerging markets, has just taken a major hit with the news that sales in India have rocketed 400% in the last few months. Their trick? Simply lowering the pricing, and offering monthly instalments instead of upfront cash. The iBudget phone is redundant before it’s even been made. In other phone news, if Gartner is to be believed, Africa is set to lose its crown as the king of mobile payments. The analyst firm reports APAC will be the world leader by 2016, reaching $165 billion. The global total will reach $235.4 billion this year - up 44% from 2012 – and $721 billion with more than 450 million users by 2017. M-Pesa was once king, now the world is taking the lead. Despite efforts to even things out, tech does have an image of being a white man’s game. According to Mother Jones, Silicon Valley epitomises this trend. 89% of California’s tech founders were males, 82% white, and women make 49 cents for every dollar men make in Silicon Valley. These figures are from 2010, and hopefully things have evened out in the intervening years, but it still feels like there’s a long way to go. The news has been full of cyber wars and state-sponsored hacking of late. While much of it is hot air and posturing, it’s starting to get more serious - the Pentagon has said a major cyber-attack could constitute an act of war. But the news that the Chinese army is to launch its own Cyber Attack wargames shows that a cyber-war may not be quite as Sci-Fi as it sounds. 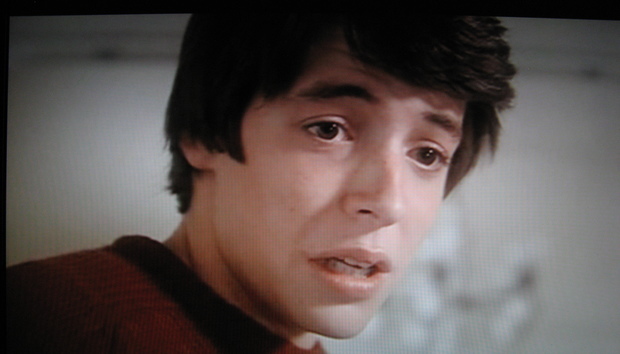 Where’s Matthew Broderick to calm things down when you need him? Raspberry Pi, the king of all tiny, tiny PCs, released a new download this week. Entitled New Out Of Box Software, it allows users to choose from a list of operating systems they wish to run on the computer, without Network access. It makes getting off the ground with your new tiny best friend much easier. But the best thing about it? It’s known as NOOBS. Subtle work from the guys at Raspberry towers. Excellent piece of Chinese news here. An electronics dealer in Kashgar, Xinjiang has started accepting Sheep as payment. For months the focus has been on Bitcoins and cryptocurrencies as alternative payments, but perhaps livestock is the next currency bubble.